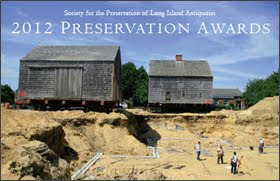 The Society for the Preservation of Long Island Antiquities (SPLIA) has issued its Endangered Historic Places List for 2013. The list includes six endangered properties that exemplify the vast diversity and character of Long Island’s historic resources. Long Island is gradually losing connection to its cultural heritage. Every year, historic places spanning the length of Long Island are threatened by adverse conditions including outright demolition, a lack of appreciation for historic value, or the inability to develop and implement long range planning. All point to the need for improved outreach, education, coordination, and region-wide support for the protection and reuse of historic resources. Recognizing the need to raise awareness and support, the Society for the Preservation of Long Island Antiquities established its Endangered Historic Places Program for Long Island in 2010. Selections are made through nominations which are reviewed by committee and assessed for several factors including the resource’s overall historic significance, the degree and nature of threat, and the importance of the issues raised by the nomination. The Henry Rhodes house was built for a Southampton ship captain, and is one of only a handful of pre-Revolutionary War 18th century dwellings in a Village founded in 1640. The structure has been vacant and neglected since the 1980s, and was moved to its current location in the 1920s. Its exterior was significantly altered for commercial use in the 1930s. Nonetheless, much of its original interior structure and architectural detail is remarkably well preserved. The building is threatened by demolition. A permit was requested but temporarily denied because the Village Code calls for additional review when dealing with buildings “of historical interest” (older than 75 years). Reuse is complicated by current County environmental regulations that hinder expanded uses at the site—there are sewerage issues affecting underground water and the adjacent Agawam Lake. SPLIA advocates a save that would keep the structure at its existing site. A collaborative preservation solution was proposed in 2011 where the Town would acquire the property with Community Preservation Funds (CPF) and donate it to the Village for restoration and reuse as the Chamber of Commerce Headquarters. Supported by local stakeholders this solution remains a good option, but is dependent on the current owner’s cooperation. Situated at a corner property, the La Grange Inn dates back to 1750 and is a familiar site on Montauk Highway. It has maintained some semblance of its intended purpose throughout its history. At various times, it was as an inn, a hotel, a hostelry, and a restaurant and has undergone several expansions over time. Vacant since 2010 with mechanical systems turned off in 2011, the building is threatened by steady decline. Negotiations are under way with CVS to move and restore the building, but there are concerns that the proposed solution will compromise the civic persona of the building. It is further complicated by a need to clarify periods of significance, and issues with redundant commercial development, as there is another CVS in close proximity. SPLIA advocates a save that would include restoration that is sensitive to the existing historic fabric- a reuse that maintains historic design features and fabric to the greatest extent possible, and site planning that recognizes the building’s location on the corner as a contributing feature. This issue speaks to the need to integrate preservation into town planning to avoid reactive decision-making and to identify opportunities for integrating historic resources and public space into viable commercial districts. The Meadow Brook bank was constructed in 1929—at the time, the tallest building on Long Island east of Jamaica. It played an important role in Freeport’s commercial development, and its design aspires to a vision of Long Island development that is very different than what transpired—it represents a denser more urban sensibility. During WWII, an observation deck was built on the roof to monitor ‘enemy plane’ activity. It is distinctly reminiscent of an Art Deco version of the Flatiron building, and was designed by the Hoggs Brothers—several of their other bank buildings are on the National Register. The building facade features Mayan reliefs, and the lobby uses Caen stone marble and bronze. It has been empty since the 1980s. The Local Landmarks Preservation Commission wanted to designate this building, but Trustees are reluctant. SPLIA advocates a save that would make use of rehab tax credit, and multi-modal high-density downtown revitalization incentives. Currently, there is a lack of vision for what the site, repurposed, could be, and also a lack of municipal leadership to execute what could be a high-profile success story. Old Cedar Swamp Road encompasses a cluster of historic buildings and an early slab pavement road. It is the last vestige of historic Jericho hamlet north of Route 106. The area is threatened by impending development that includes a zone change from residential to commercial and the construction of an assisted living facility and parking lot. The proposed plan calls for the demolition of 104 Old Cedar Swamp Road &amp- 141 Old Cedar Swamp Road and another building, not currently slated for demolition, may face that threat given its location. 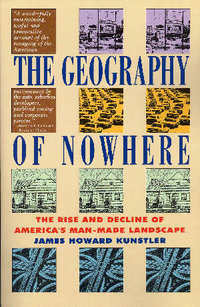 Other properties and the general character of the neighborhood would lose context. SPLIA advocates a save that identifies historic resources and other important features to guide appropriate new development. This area is not only historically sensitive, but also environmentally sensitive, as it is an important underground water recharge area. 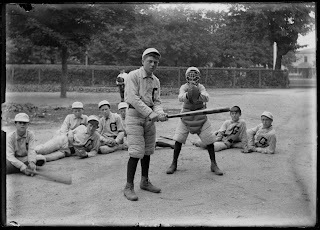 A save would include relocating the proposed facility and recognizing the historic significance of the area. Designed by noted railroad architect Bradford Lee Gilbert, the Oyster Bay Train Station (1889) is a locally designated landmark that is also listed on the National Register of Historic Places. Significant for its association to both President Theodore Roosevelt and the history of Long Island railroading, it ceased operation as a station in 1999 and was acquired by the Town of Oyster Bay in 2004 after the formation of its stewarding organization, the Oyster Bay Railroad Museum. The site has been subject to extensive planning and assessment and is ready for restoration and museum conversion. However, there is a lack of collaborative support and planning to begin a shovel-ready project. The building is threatened by inertia that allows slow deterioration to continue through lack of regular use. SPLIA advocates a save that would emphasize greater commitment from the Town to realize the project as a part of community planning for hamlet revitalization, and overall economic enhancement. This issue speaks to the importance of municipal leadership, support, and collaboration in order to realize effective public-private partnerships. SPLIA advocates a save that would include local landmark designation of the complex and the Town’s cooperation in developing incentives that encourage adaptive reuse of the church. This issue speaks to religious institutions facing diminished congregations and struggling to maintain historic buildings that may no longer satisfy ecclesiastic needs but often play a major role in defining community identity. Additionally, SPLIA has identified St. Ignatius Retreat House at Inisfada as a “Watch Property.” This special category was created for important historic properties that are at risk but do not yet have a constituency to advocate for their protection. Built between 1916 and 1920 in the Village of East Hills, Nassau County, Inisfada was originally the country estate of Nicholas and Genevieve Brady and is the only known example in New York State of the Philadelphia-based architect, John Torrey Windram’s work. Mrs. Brady donated the estate to the Jesuit order in 1937 and it has served as a retreat house for 75 years. The National Register eligible site comprises 33 of its original 122 acres and reflects the landscape tastes of both owners. The Tudor-revival main house is largely intact and retains most of its original details. In June 2012, the Order announced the retreat’s closing and has subsequently put the property up for sale and it may be under contract at this time. It is a property to watch because it is a large site that is not landmarked which would allow for demolition and redevelopment as a new subdivision. SPLIA advocates for early planning initiatives that use development incentives to encourage the preservation and reuse of this extraordinary former country house estate.